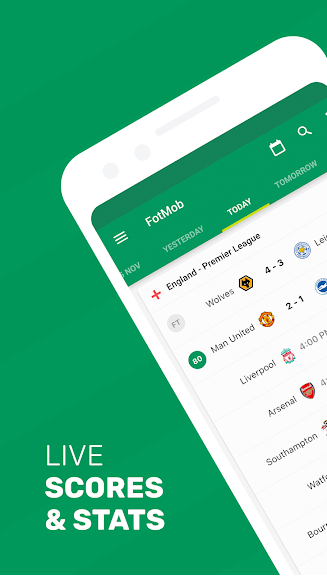 The international break is now over and Premier League action returns with 7 matches getting underway this Saturday, as Manchester United host Watford in Solskjaer’s first game since being appointed as permanent manager, while Man City look to return to the top of the table when they travel to Fulham. Free-to-play and cash games are available every single Gameweek on Starting11.io and here’s a look at some players to consider from the 7 Premier League games this Saturday. Man City have kept more clean sheets this calendar year (6) than any other Premier League side, while also conceding the fewest goals (5), shots on target (17) and big chances (8). Ederson will be searching for his 15th clean sheet of the season when the champions travel to Fulham, a side that have scored 11 goals in 2019, with only Brighton (10), Cardiff (8) and Huddersfield (6) faring worse. He might be one to avoid for FPL purposes this Gameweek, due to possible rotation but Matt Doherty may at least start for the trip to Burnley, a side that have scored only 5 goals across their last 4 home matches. The attack-minded wing-back has been directly involved in 9 goals this season (3 goals, 6 assists) and only Schlupp (4) has registered more than his 3 big chances this calendar year amongst defenders. The Crystal Palace defender has lined up in a midfield role across the last 6 matches and his 4 goal involvements between Gameweeks 25 to 30 ranks top amongst defenders, ahead of Huddersfield’s visit to Selhurst Park. Lindelöf withdrew from international duty in order to be there for the birth of his child but appears likely to return to action to face Watford, after becoming a father earlier this week. Man Utd have kept just 7 clean sheets this season but only Man City (6) have kept more than their 5 clean sheets this calendar year. Since Gameweek 18, when Solskjaer first took charge, Pogba has returned 8 goals and 7 assists, with the Frenchman also ranking 1st for goal attempts (47) and efforts on target (25). Watford have shipped 9 goals in their last 4 away matches, with only Fulham, Bournemouth (each 10), Huddersfield (12) and Chelsea (13) faring worse. Having now retired from international football, David Silva should be well-rested for the trip to Fulham, while Bernardo Silva, Sané, Sterling and Mahrez all featured for their countries. The Spaniard has started in 6 of the last 7 league matches, including back-to-back starts in Man City’s previous Double Gameweek (GW25) and no player provided more than his 4 assists during that period (GW24-30). Milivojevic has scored 9 Premier League goals this campaign, with 8 of those coming from the penalty spot; 3 more than any other player. Only Fulham, Cardiff (each 7) and Brighton (9) have conceded more penalties than the Terriers (6) this season, so there’s hope of that trend continuing on Saturday. Leicester face a Bournemouth side that have conceded 10 goals across their last 4 away matches, with only Huddersfield (12) and Chelsea (13) shipping more. James Maddison is a man in form, having found a return in 3 of his last 4 league outings. He’s created a league-high total of 39 chances this calendar year, 15 more than any other player. Rashford withdrew from international duty because of an ankle injury but it’s the same problem he’s been nursing for over a month now, so you wouldn’t expect it to keep him out of the meeting with Watford. The forward has returned 6 goals and 2 assists in 12 appearances under Solskjaer and his tally of 21 efforts on target during that period ranks 3rd best in the league. Raheem Sterling is enjoying an unbelievable season, with no Premier League player registering more than his 28 goal involvements (15 goals, 13 assists) and he extended that form further by scoring 4 times in 2 matches for England over the break. Man City have scored a league-high total of 79 goals this season and face a Fulham side that have shipped more goals (70) than any other side throughout the campaign. Agüero has started in each of Man City’s last 8 league matches (GW23-30), delivering 8 goals and 2 assists and no player provided more goal involvements (10) across that spell. As with David Silva, the forward should be fresh for Saturday, having not been selected to feature for his country over the international break. It’s a close call for captaincy but with the extra rest time over the break and his excellent form beforehand, Sergio Agüero provides a strong option for the armband. The Argentine also has penalty duties and his opponents, Fulham, have conceded 7 penalties this season, 2nd only to Brighton (9). Please note that there will be changes to the player positions made after this weekend’s contests. 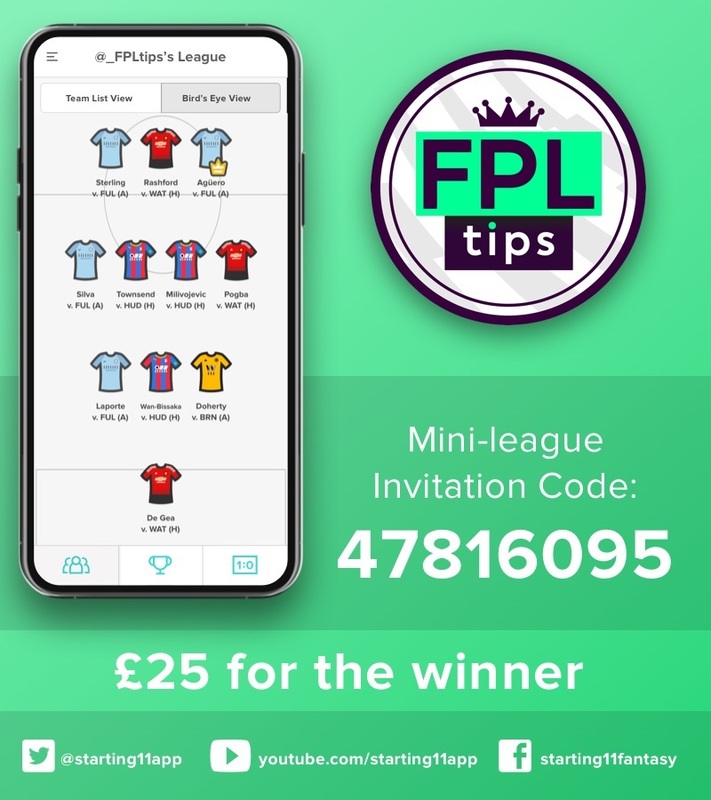 Starting 11 have listened to your feedback and for future contests, from the midweek Gameweek 32 matches onwards, player positions will reflect the standard FPL classifications. So, for example, the likes of Sterling, Martial and Mané, who are currently listed as forwards on Starting 11, will soon be available to select as midfield options, enabling you to pack even more top players into your Starting 11 teams! 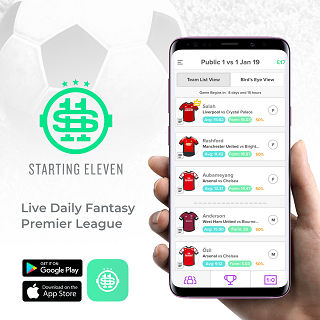 Simply download the free app below and create your best 11-man team for SATURDAY’S 7 Premier League games, which kicks off with Fulham vs. Man City at 12:30pm – oh, and you’ll need to pick a captain.